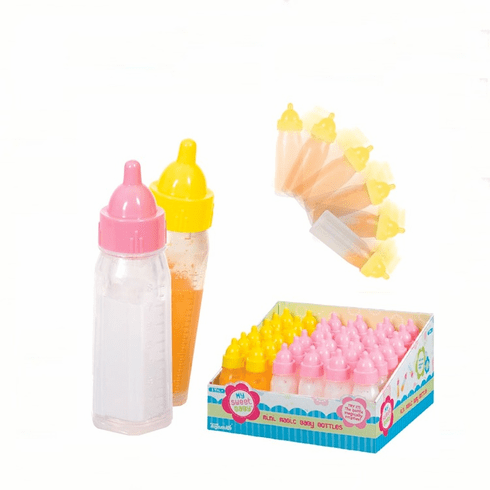 These smaller 3.5 inch magic refill bottles are perfect for small baby dolls. Tilt the bottle down and watch it empty, then tip back up and it magically refills. Assorted milk and juice styles. Price is PER BOTTLE. Styles subject to availability.